Working pressure: Less than 145 Psi; Maximum pressure- 150Psi. KLAW Cable Emergency Release Coupling using a high tensile cable as a release control system. The Quick Connect Assembly (QCA) makes your Omni Mixer Series homogenizer even more convenient to use. The QCA is easy to install on your existing unit. 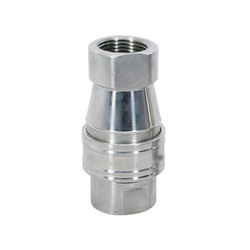 We are counted among the most distinguished organizations engaged in manufacturing and supplying Quick Release Coupling. The couplings we are offering are manufactured by our experienced professionals, according to the guidelines of the industry by using quality-approved material procured from the trusted vendors of the market. 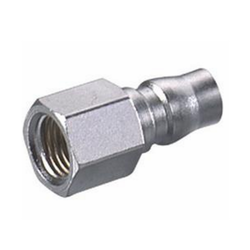 We offer Metal quick coupler. AEROFLEX metal quick coupler can be made by three different kinds of materials, including stainless steel, iron and zinc. The different quick coupler can be used in environment from all over the world. It also has various port sizes.